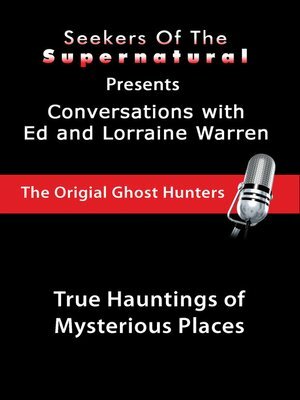 Ed and Lorraine Warren, well known for their interest in the mysterious, talk to Tony Spera, host of Seekers of the Supernatural, about mysterious places, mysterious people, and, the ultra-mysterious, vampires. Ed and Lorraine begin by clarifying the difference between movie-version vampires and actual vampires: actual vampires are people who hallucinate or imagine themselves to be vampires, acting the way they think a vampire would act and giving in to the mystery and evil of vampire legends. They go into great detail about actual cases in history in which people took on the role of vampires, were buried alive, and mysterious "supernatural cords" that allowed them to "rejuvenate" by stealing the blood of innocent people. Ed and Lorraine also explain such legends as Vlad Tapish of Romania and Bram Stoker's Dracula. It is the setting of Dracula, Whitby Abbey, that leads Ed, Lorraine, and Tony to their next segment about strange and supernatural places. Whitby Abbey is well known for it's supernatural elements. People come from all over to experience mysterious sights and feeling around the castle and cemetery. Even the host, Tony, has experienced strange and unnerving apparitions at this centuries-old location. Another place that Ed and Lorraine found to be extremely mysterious and full of supernatural energy is Stonehenge. One trip in particular, Lorraine felt a "tremendous source of energy." Another detailed account of strange and mysterious occurrences took place at notorious Loch Ness where Lorraine and Ed have a close friend, Father Gregory Bruce, who has witnessed "the beast" on several different occasions. These strange and interesting personal accounts are the stuff that Goosebumps are made of. Ed and Lorraine's stories then take a turn as they head across the Atlantic to the Eastern coast of the United States. The Warrens then tell of the strange occurrences surrounding Woodstock and two Clairvoyant brothers of the late 19th century. A Native American grotto is also nearby with tales of people who have seen the ghosts of Native Americans performing ceremonies and gathering in circles. The phenomena are just the beginning of tales to come.